There’s been a lot of attention given to trading and psychology lately. I’m a fan of Van K Tharp’s work; I have a number of his books and I’ve learned a lot from each one of them. Tharp says that when he first started teaching trading courses, he believed that success in trading was 25% technical (your trading system, rules, etc.) and 75% psychology. Later on in his career, he went even further and said that success in trading is 100% psychology. In other words, the technicals, the entries and exits don’t matter. It’s all in how you think about it. Given that I’m much more comfortable writing software that trades than placing trades myself, I can attest that there is something to Van Tharp’s statement. I know I can make a simple successful automated trading system that holds a trade for a day and then closes it. If I actually had to trade that system manually, I probably couldn’t do it. There’s too much disbelief in the way. There are so many things going through your mind when you trade — did I do my analysis right? Why is the trade going against me? Should I just get out now? Should I move my stop to break-even? Does this system even work? Did I back test enough? How much money am I going to lose if my stop gets hit? Isn’t this my 4th loss in a row? Why did I just make another dumb mistake? Do you get those thoughts too? Well, help is on the way. 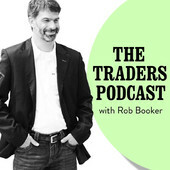 One of my favorite trading personalities, Rob Booker, has just started offering a trading course structured around the psychology of trading. Rob is a really creative and interesting guy, and I found his TFL365 course very helpful for me when I first started. This new course is going to be even better. Rob’s course is filling up; he has a short video on it as well. Check it out. If you trade manually as well as using automated systems, you owe it to yourself to be the best you can be. What can JForex do for me? I’ve spent a few days working with JForex in an FXDD demo account. It’s an interesting programming environment. I’m liking it. What’s JForex? 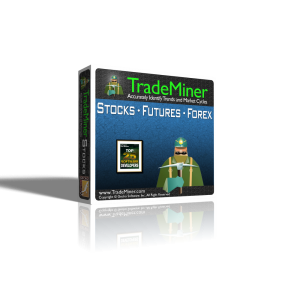 JForex is a Java implementation of a programming language for trading systems, similar to the way MQL is the programming language for MetaTrader. Hundreds of brokerages support MetaTrader/MQL, and a lesser number support JForex. There are a number of things I like about JForex, and a few things I do not. The whole environment launches from a web browser; once you have your demo account user id and password, you click on a link to the JForex demo site, and Java launches a separate window where you have your whole trading platform; both manual trading and trading programs are done from this window. It’s Java! I mean, it’s one of the most well supported programming languages in the world. There are so many resources for Java. It’s an excellent choice for a trading system programming language. Java is stable. You won’t find bugs in Java itself (but you could run into issues with the JForex platform). You could use Eclipse to write the Java code, and then upload it to the JForex server; if you like your Eclipse developers environment, use that to write, then upload, compile and test in JForex. The whole platform launches in Java from a browser. Eeek. That means your browser must be error-free, you need to have Java installed correctly, and a host of other things that could go wrong. Well, to be fair, MetaTrader gets goofed up often too, so maybe it won’t be any worse than that, but I have seen a number of browser problems that could impact a Java setup. It isn’t clear how you use the Eclipse debugger or any of the other debugging tools when using JForex. My serious problem with MetaTrader 4 is that there’s no debugger, and debugging code amounts to printing your own trace statements to the screen or the log. I hope JForex gives us better tools than that. There’s a lot I haven’t done yet with JForex, so this is just an introduction. Stay tuned, I’ll be working with this quite a bit more, and letting you know what I find. I have one book on my reading list that explains trading system development from the JForex perspective. I haven’t purchased this book yet, but it looks like it’s the only one out there right now. 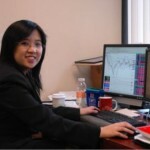 Will JForex become a dominant player in the currency trading world? We’ll see. For now it’s one of several options for automated trading system developers.